Blockchain has made possible the creation of cryptocurrencies like bitcoin which have significant roles to play in the energy industry, especially the solar energy industry. Yet, an enormous amount of energy is used in the “mining” process of bitcoin. This amount keeps growing daily, and it calls for the need to explore alternative sources of energy that are cost effective. Blockchain is a digital ledger of transactions that is encrypted and maintained by a network of computers rather than a centralized main authority. Its name comes from its stacks of ledgers, called blocks. These blocks are continuously added to a chain of unalterable preceding blocks. Despite the fact that blockchain ledgers are open to the public, its record cannot be deleted or altered. Bitcoin is one of the best known applications of blockchain. Bitcoin is a digital currency that was introduced in 2008. It was created with a network of computers to augment the work of financial parastatals in reconciling financial transactions and dealings. There are now many different cryptocurrencies, but bitcoin remains the most popular. The complex computing process involved in “mining” bitcoin in the digital market requires a lot of electricity. This is putting pressure on limited resources, hence the need for a cost-effective alternative. One solution is to use a blockchain platform to distribute solar energy more efficiently. Solar energy is an eco-friendly alternative to other sources of power that is relatively cheap to generate. The energy demand for blockchain applications such as bitcoin—and the mining processes that come with them—has created for investors a huge opportunity in the solar energy industry. Why invest in solar? What are the benefits to blockchain mining operations? Harnessing solar power involves making use of free natural energy from the sun to provide a carbon-free and clean source of power. Financially this means better returns on investment in all spheres, plus the benefits of less carbon-intensive industry. Establishment of off-the-grid solar houses and farms. Monetization of solar energy production process without a power sales contract (which are hard to come by). Blockchain applications have other significant implications in the solar industry that do not necessarily include bitcoin. Blockchains can help existing solar factories track and compensate solar power production and sales. Another application of blockchain in the solar industry is the Solar Coin—a type of digital currency that was created to make the best of incentives in solar energy investments. Solar factories can register with Solar Coin foundations and receive one coin per megawatt hour their factories generate. These coins can be used by anyone and not just solar companies alone. Moreover, these coins can also be monetized (any currency) or converted to bitcoin if desired. Lastly, peer-to-peer trading of solar energy can be made possible with blockchain. 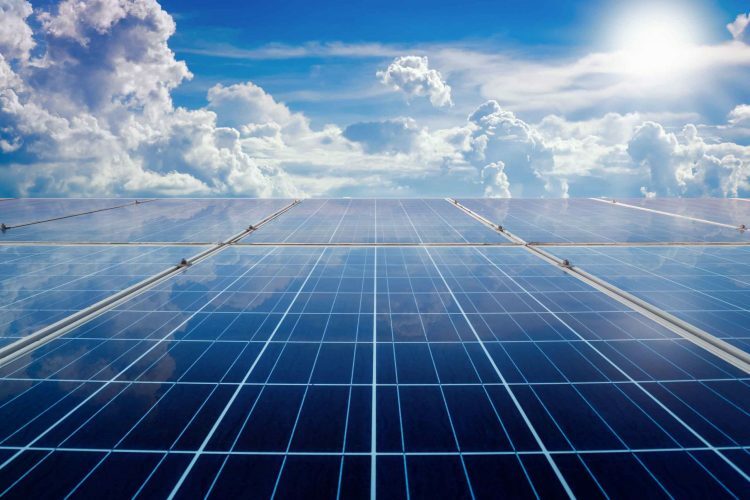 Blockchains offer a direct link connecting the producers of solar power with consumers who are interested in sourcing eco-friendly and sustainable energy, which is also in turn the most cost-efficient. Power2Peer is a company that offers such innovation via the Power2Peer connect mobile app, where anyone with solar on their rooftop can trade energy. The app also enables users to track power consumption and pay power bills using cryptocurrencies. Although many of these applications are in their early stages, it is obvious that the potential uses of blockchain for improving solar and other eco-friendly energy options hold a great deal of promise, and will go a long way toward combatting the climate change issues facing our world. Mamta has over 20 years of experience in the development of software solutions for publishing, education and information technology and embedded software development. She is an expert in agile development processes and has successfully developed and deployed adaptive learning, LMS, and LCMS platforms. She will be in charge of the Power2Peer Boston’s Ethereum based platform for blockchain innovations. She has a degree in computer science and an entrepreneurship certificate from the MIT Enterprise Forum.